Munching on shrimp dumplings fried in lard (babi oangke) at lively garden weddings, dipped in a tangy chili sauce bursting with flavours of Timorese cilantro, mint and lemon zest (sambal lu’at). Christmas morning aromas of savoury lard biscuits (biskuit asin) fresh out of the casuarina pinewood oven, dipped in a hot brew of homegrown coffee or washed down with a refreshing glass of homemade raspberry cordial (istaroop). A simmering pot of white creamed corn porridge (jagung bose) with slices of wild honey roast beef and spicy tomato eggplant stew. For the 30-year-old novelist and food activist, Timorese cuisine was never just about sentimental home-cooked meals he learned from his mother. Behind the thankless mundane chores of growing and preparing food, stories that bond families and communities in a powerful cognizance of their natural world await to be discovered. 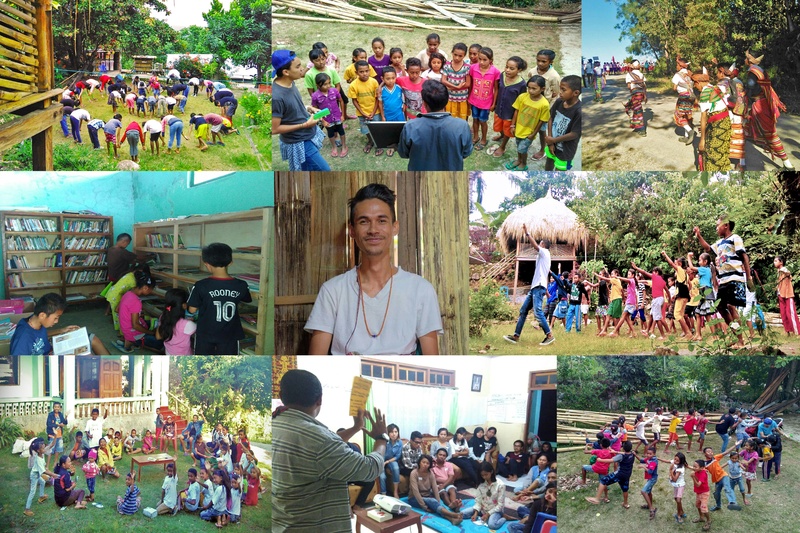 The vision to keep these stories alive in the next generation through literature, cultural activities and a sheer appreciation for Timorese home cooking and agriculture culminated in the founding of his social enterprise Lakoat Kujawas in June of 2016. Lakoat Kujawas (“loquat and guava”) is a homestay and community library in Taiftob, which produces local food products to market on social media. It also hosts food- and literature-themed cultural programmes for local children. “Loquat and guava are about the sweet (childhood) memories of the harvest season in Mollo, representing the dreams and fresh eyes young people see the world with,” explained Senda, who has a bachelor’s degree in psychology. He gave up promising careers as a school counselor in Yogyakarta and Kupang to start Lakoat Kujawas in his parents’ provincial home. Senda’s cooking is among the most memorable and satisfying I’ve enjoyed throughout my travels in Indonesia: hearty red beans in pork bone broth and lard sautéed bittermelon over a generous serving of jagung bose and a fiery dash of sambal lu’at. In addition to the fresh homegrown ingredients unique to Mollo, Senda attributes the flavours in his kitchen to diverse multicultural influences. Senda said Dutch influences are also apparent in Mollo cuisine – especially in baked goods. Nearby Kapan (North Mollo’s district capital) happens to be the first town the Dutch ever built in the highlands of Central Timor. The Bugis diaspora out of South Sulawesi has also been influencing Mollo cuisine since their arrival in the 1950s. Additionally, Senda’s grandmother who is from Magelang added some Javanese heritage to the Senda kitchen. Throughout March, Lakoat Kujawas hosted Mnahat Fe’u, a harvest festival named after a Timorese poetic circular dance traditionally performed as a harvest thanksgiving ritual. “The artistic traditions of Mollo – poetry, circular dances and songs – are devoted to our agrarian heritage,” said Senda, who designed the Lakoat Kujawas version of the celebration in a modern format while preserving its original philosophical meanings. He said he intended to make Mnahat Fe’u an annual event. Lakoat Kujawas’ Mnahat Fe’u consisted of English classes for children, film screenings, field trips for learning about medicinal herbs, creative writing classes, interactive discussions on Mollo culture and history, poetry performances, a theatre production, music and dancing. The festival closed on March 26 with local children contributing harvest from their family gardens, and a communal cookout of local delicacies in the Lakoat Kujawas kitchen. In addition to the recent harvest festival, in early January Lakoat Kujawas hosted the Elaf Dame “festival of peace” right after the Ephiphany feast closing the Christmas season. “Christmas, in our faith, celebrates the birth of the Prince of Peace. Elaf Dame attempts to convey a universal message of peace. For children in Taiftob this means honouring solidarity, respect and human rights through arts and literature,” said Senda, adding that many children here have parents working outside Timor as migrant workers. He added that vocational education in agriculture, combined with serious government policies to facilitate Mollo farmers’ access to sustainable and profitable markets, is crucial for keeping the local economy alive and preventing Timorese families from being torn apart by migrant work. Unfortunately, the government has demonstrated little concern for making local education and marketplaces relevant for Timorese rural communities. To run its programmes, Lakoat Kujawas collaborates with academics, Indonesian university students, non-governmental organizations, Timorese historians, the local church, Mollo indigenous associations and thespians and dancers from Kupang. In the future, Senda aspires to run a residency for Indonesian and foreign writers, artists, academics, filmmakers and photographers. This residency would establish a space for knowledge exchange between foreigners and locals in Mollo, map Mollo’s cultural and natural resources for relevant development strategies and build a library that documents the heritage of Mollo ancestral knowledge systems. 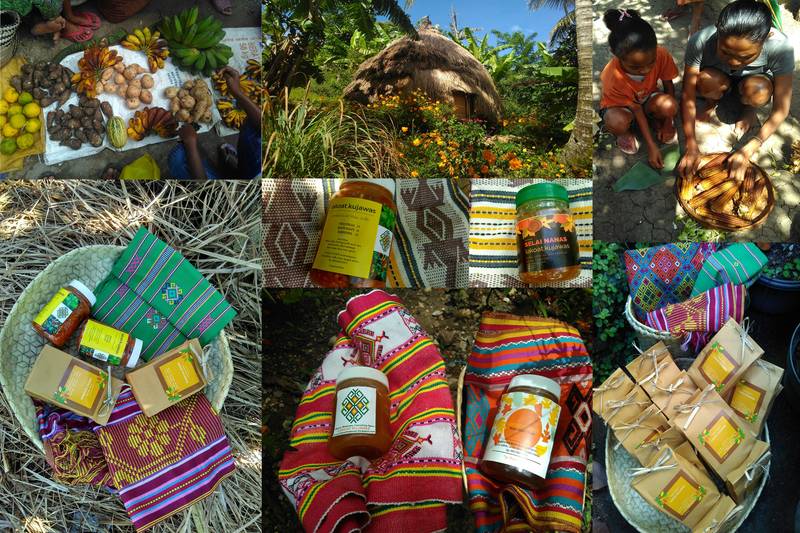 Lakoat Kujawas sells Mollo food products (sambal lu’at, jagung bose, wild honey, pineapple jam), is open to expat volunteers for running workshops or English classes and accepts donations of cash and books. It is currently raising funds to buy an LCD projector for bi-weekly film screenings. To donate or volunteer, contact Christian at [email protected] or +628138037075. Lakoat Kujawas is @lakoat.kujawas on Instagram. Car rental or shared “travel” shuttle to Kapan via Soe. Tell your driver to look for Pak Polisi Senda’s house in Jalan Baru, Taiftob. What to bring: Camera, hat, sunscreen, insect repellent. Hiking shoes, swimming costume, and daypack – ask Christian about tours to Mount Mutis or picnics at the Serbau River Valley. Flashlight, extra batteries, power bank, no-frills cellphone (non-smartphone). Cash for transactions – draw cash in Soe or Kupang.